The News Index Page is an automated listing of all articles within the news folder. 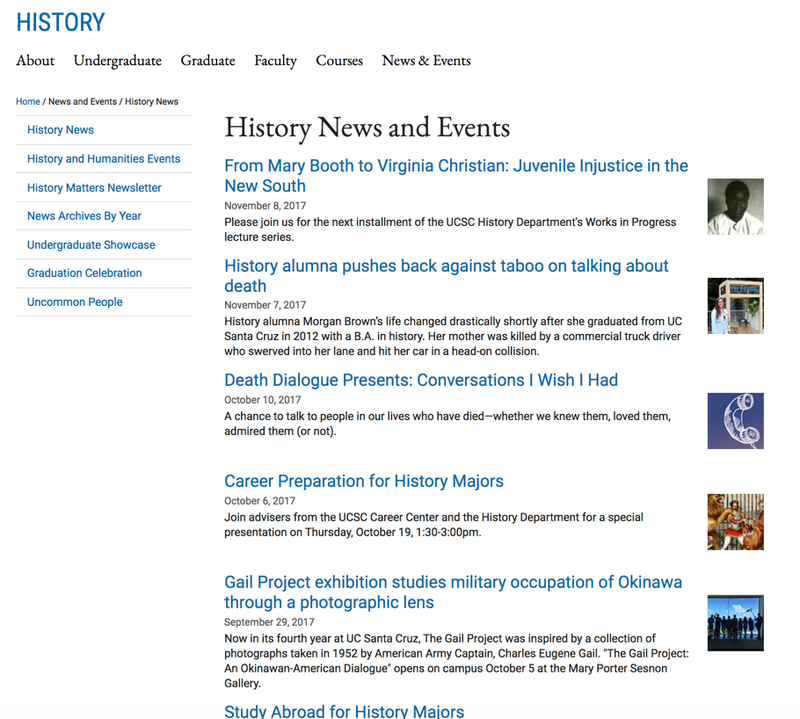 These are news articles that you create AND, if requested, can also pull in one or more categories of campus news articles. See the campus RSS feed page for a list of the available categories. Put in an IT ticket to request a news feed. You can also add links to external news articles, publications or files by using the News Article Shortcut asset in the WCMS. The articles on the news index page appear in date order with the most recent article appearing first. The index page will list all news articles in the SAME FOLDER, but it will also list any pages that you put in your top-level "Base Folder." If you have pages in your Base Folder that you don't want to show up on your news index, set those pages not to index (un-check the "Include when indexing" box in Edit > System). You can not reorder the articles on this page unless you change the "Start Date" of the article.